There is nothing better than freshly ground coffee. Be old-fashioned, and grind your coffee beans with this Leopold Vienna coffee mill! Then use one of our coffee makers to brew your coffee. An elegant 1.2 litre kettle made of stainless steel. Ideal for gently pouring water into a slow coffee maker. Suitable for all heat sources (including induction). 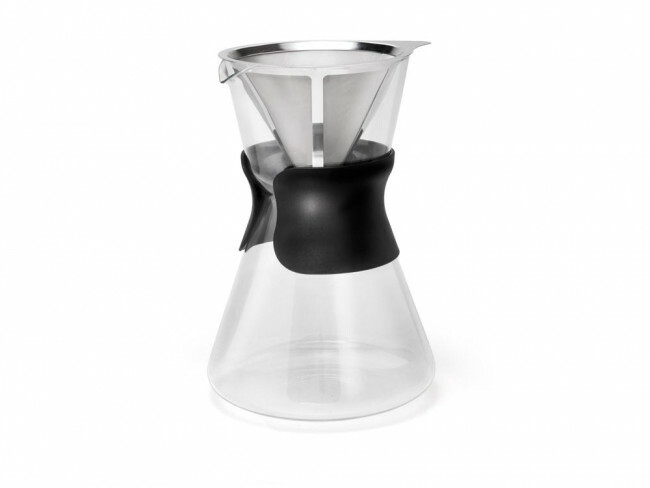 Slow coffee maker made of glass with a heat-resistant handle. The slow coffee maker has a stainless steel filter. Gently pouring water from the Eleganza or Cicero kettle results in an ideal slow coffee!